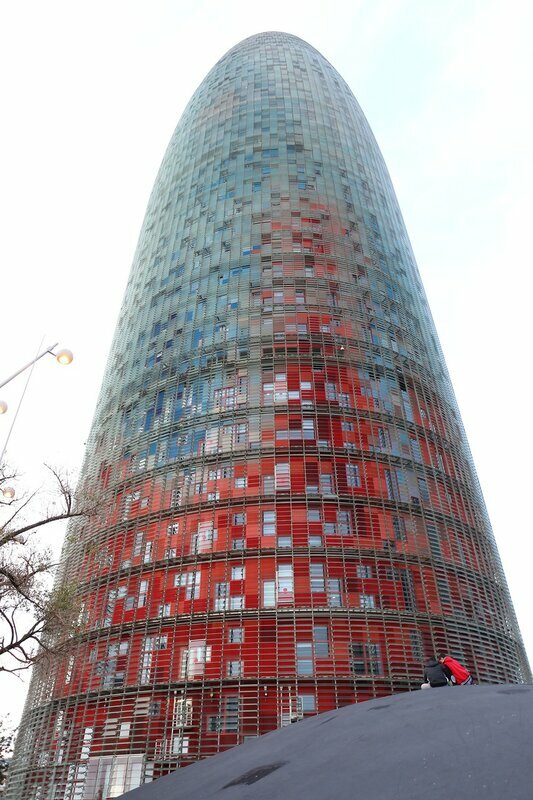 torre Agbar (Torre Agbar on map) it is a 34-storey skyscraper, built in 2005. 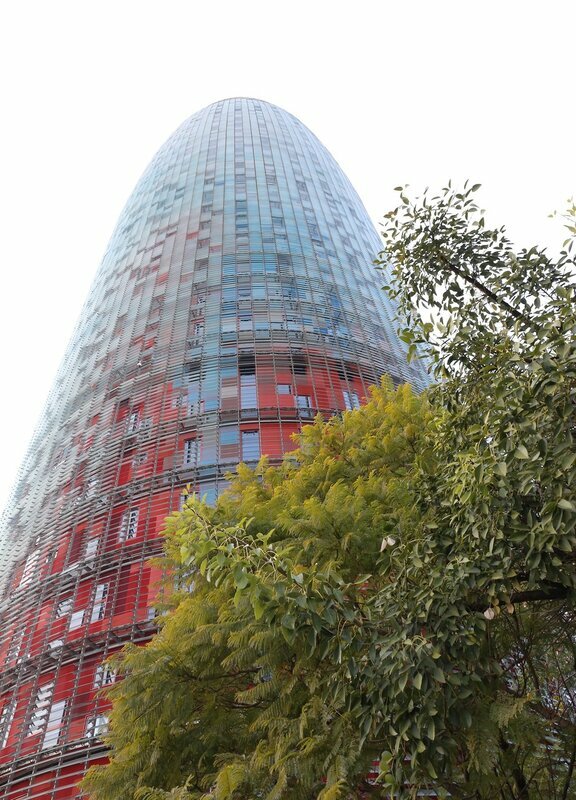 The first name of the skyscraper, "Torre Agbar", has nothing to do with the Arabic word "Akbar" ("great"), and is an abbreviation of "Aguas de Barcelona". This is the name of the holding "Grupo Agbar", engaged in urban water supply, this company became the first owner of the building. 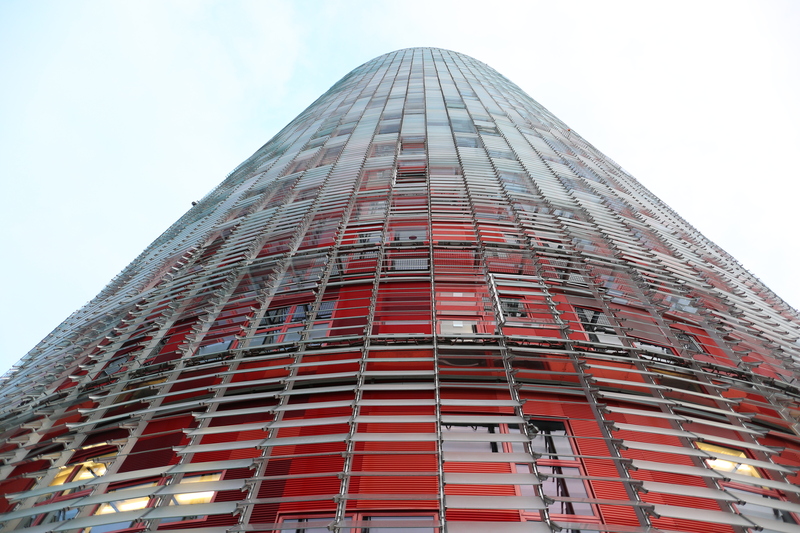 The construction contract was received by the famous company Dragados on a joint project of the French architect Jean Nouvel Jean Nouvel and the Spanish company b720 Fermin Vazquez Arquitectos. According to Nouvel, the shape of the building symbolizes the cliffs of Montserrat, located near Barcelona, a towering geyser, as well as the notorious male's part of the body. The construction height of 145 meters and an area of 50 thousand square meters, has 38 floors. 28 of them are designed for offices with a total area of more than 30 thousand square meters, as the building has 3 technical floors, the floor is a multi-purpose transformer, one floor is a cafe and at the top-an observation deck, which, however, the people from the street are not allowed. The structure of the building consists of two reinforced concrete frames - internal, where elevators and communications are located, and external, covered with aluminum structures, on which more than 4,500 window blocks are attached. Outside, the whole building is covered with rectangular glass panels that can move on the signals of temperature sensors on the outside of the tower. 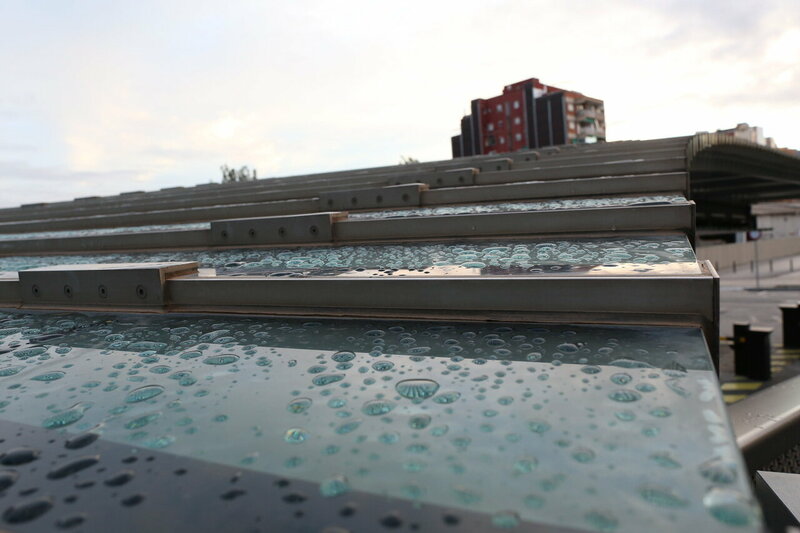 The glass is coated with a metal coating that changes its color depending on the light and temperature. The total area of glazing is about 16 thousand square meters. The total area of the tower is more than 50 thousand square meters, 30 thousand of which are occupied by offices. Construction began in mid-1999 and lasted 6 years. 1170 migrant worked at the construction site. The cost of construction was 130 million euros-not too much for such an impressive and equipped with advanced technical facilities. Various equipment providing water and power supply, air conditioning, fire extinguishing means occupy more than 3 thousand square meters, about 6% of the total area of the building. 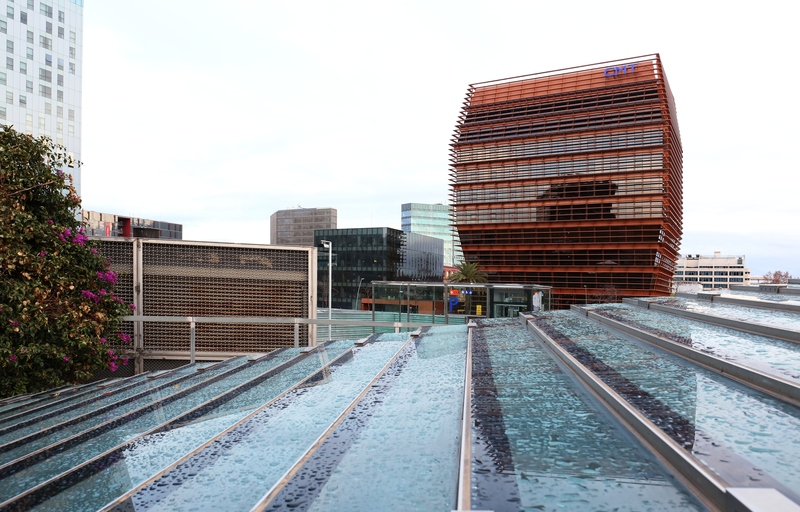 The building was inaugurated by the king of Spain on 16 September 2005. 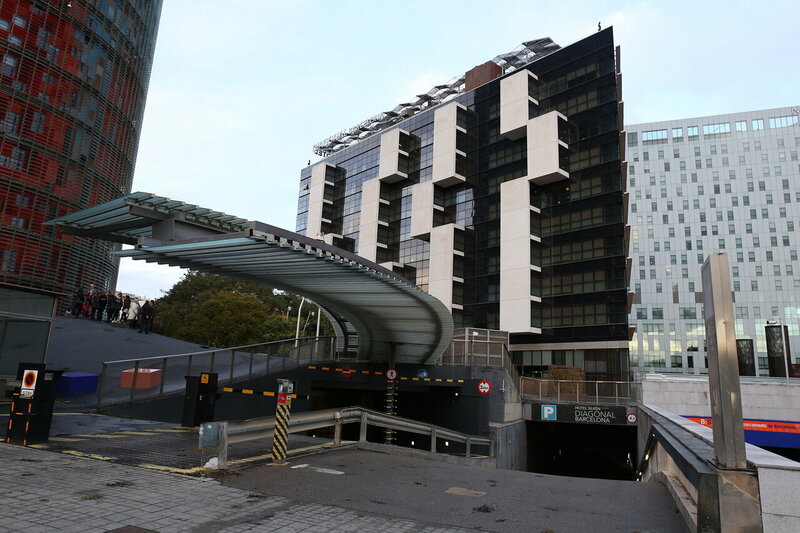 Four floors are under the ground, one is an auditorium for 316 seats, the other is technical equipment, two lower-underground Parking area of more than 9 thousand square meters. 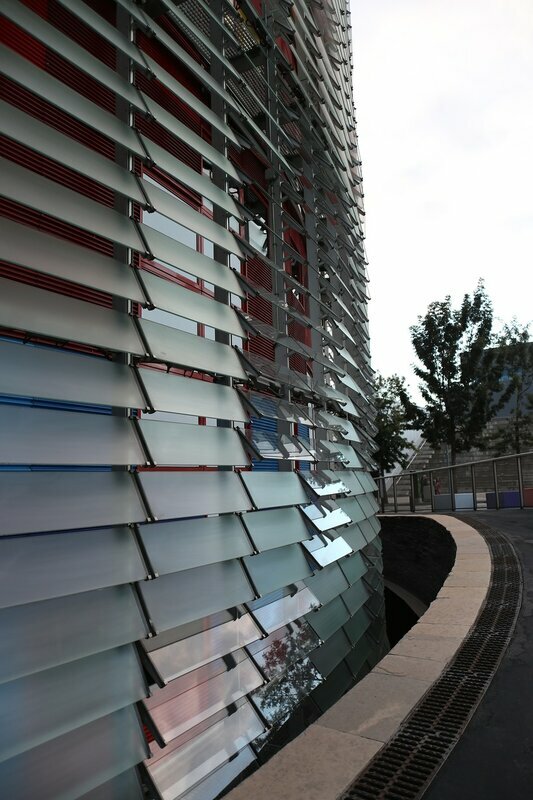 Glass visor above the entrance to the ground. 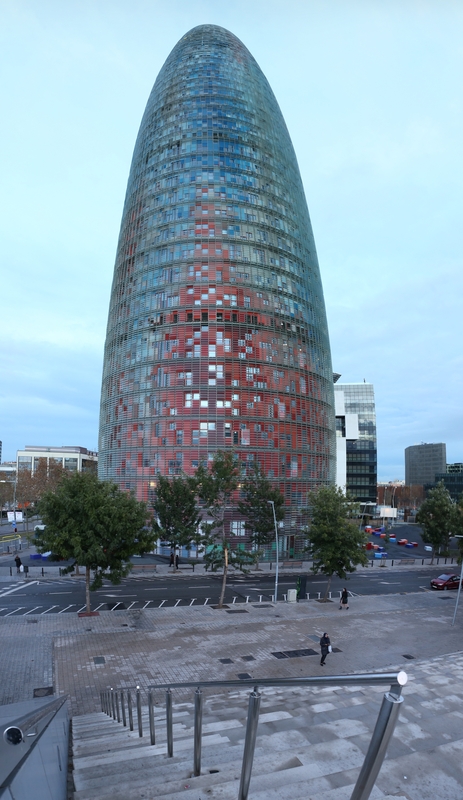 In November 2014, the owner of the building became the investment hotel chain Hayat, paying 150 million euros for the skyscraper and since then the skyscraper is called "Torre Glories". The famous hotelier is planning a luxury business hotel with 417 rooms. The new owners announced that the observation deck will finally be available for everyone to enjoy the view of Barcelona from a height of 140 meters.